We have exciting news!! We’ve partnered with Kathy Davis to create an amazing new line of Day-Timer products! Kathy is all about Creating A Life You Love, and whether it’s at home or at work, every single day should be lived to the fullest. Her bright watercolor florals and hand-lettered messages will fill your Day-Timer with color and inspiration. Not only will your Day-Timer be filled with color, there are plenty of inspirational quotes on throughout! So dream big, organize your thoughts and goals, and Make Your Life a Work of Art. 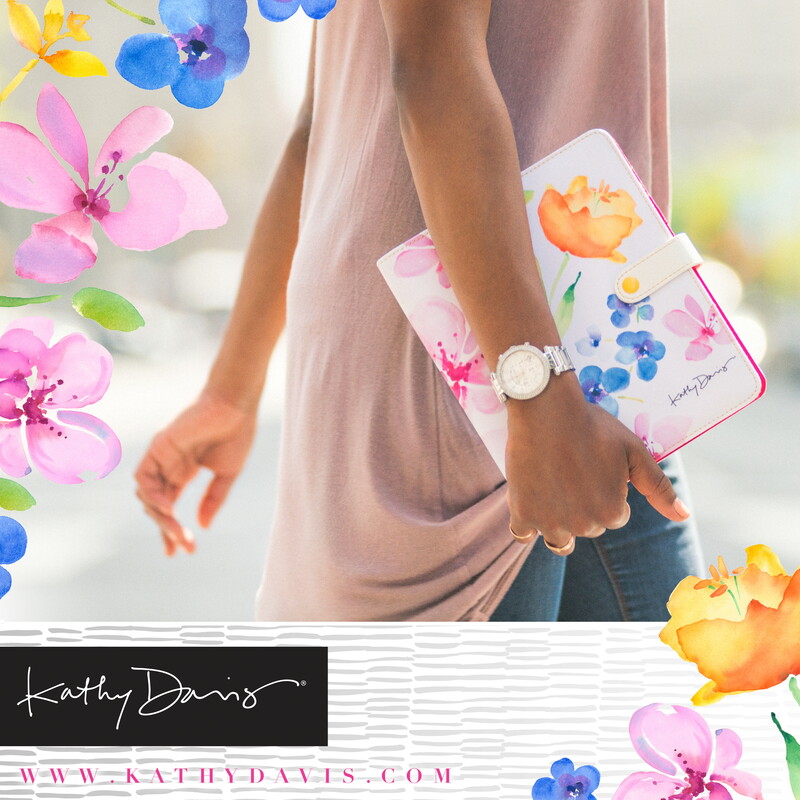 With your new Kathy Davis Day-Timer organizer and refill, you’ll shine bright and put your best foot forward to be the best you can be! As part of our Kathy Davis launch, we’re hosting a wonderful sweepstakes! Click here to see our prizes, enter and win! I bought the “Desk” size planner for my daughter for her birthday. She was thrilled. Her first response was “Oh, wow! This is so pretty! I love it!”. She immediately began entering her information. She loves her new planner and so do I.